Started in 2014, Bakmi Nyonya's goal is to feed different nations, and promote Indonesian food in Manila. 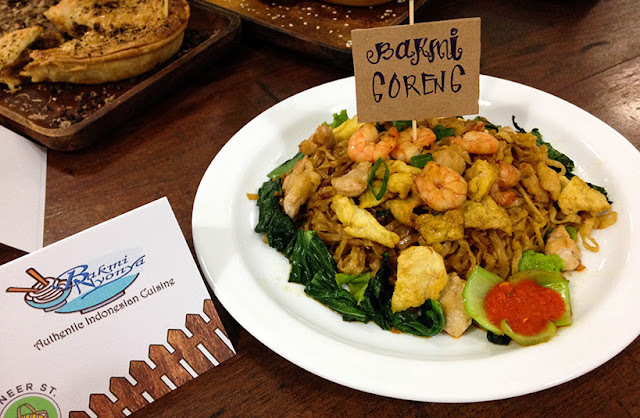 Known for their Indonesian dishes and noodles, we tried out their Bakni Goreng. Bakmi Nyonya has won awards such as: Next Big Entrepreneur 2014: Best in Innovation, People's Choice Award, Overall Champion; Kiddopreneur 2015: Best in Sales; Ultimate Taste Test 2015 Winner; Nutri Asia 2016 Adobo Challenge 3rd Place. Bakni Goreng. Noodles were cooked al dente, tastes good and flavorful.